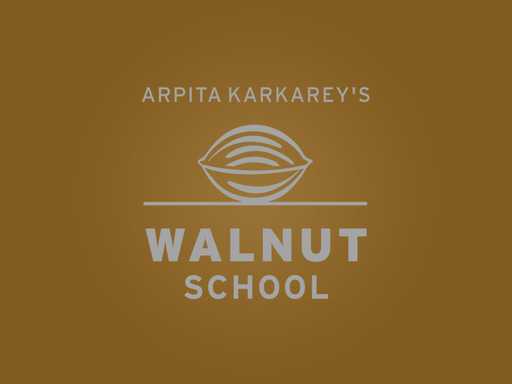 Arpita Karkarey is an educationist, entrepreneur and the founder of Walnut School. She has also been part of core team of setting up and running Millennium National School, a well-known and reputed school in Karve Nagar, Pune. She holds a B.E in Computer Science and a M.S in Multimedia Technology from USA. She also holds a Bachelors and Masters in Education and is nearing completion of her PhD in Education from the University of Pune. Arpita has been working towards achieving her dream of spreading quality education for almost 20 years through her unique schools and her even more unique learning system. Backed with graduate and post graduate degrees, in both, engineering and education, she has a keen eye for details and spots problems and patterns at a micro as well as macro scale, which enables her to design solutions which are simple yet extremely effective. Arpita’s learning system brings in instant quality education for a single school or even schools across an entire district, public or private. It maintains consistency and delivers results which are clearly visible to all the stakeholders – management, teachers, parents and students. It is readily accepted and implemented as it has been painstakingly simplified where it can be plugged smoothly even into an existing schooling system. It works for all demographics – from the high tech, elite, private schools to the low tech tribal schools. It works in English medium schools and even in local language schools while assuring English fluency which keeps the school enrollment healthy too. The system, incidentally also works as an inservice teacher training tool. In the course of her journey of implementing her learning system, she has gained a lot of insights into grassroots issues. With the help of this system, Arpita has succeeded in dealing with many other problems that schools face. Using innovative strategies, she has done away with heavy school bags completely as her system makes schools totally bagless. Around 15000 students have used her program including the private schools that she has set up. She has offered consultancy services to 6 private schools as well. In addition to that, through The Wise Buddha project, her program has been used by 6000 students in urban government schools and rural and tribal schools. This spans the schools in the Pune Municipal Corporation, the Talegaon Dabhade Nagar Parishad and Zilla Parishad schools in Baramati, Mulshi and Haveli Talukas. This learning system which she has developed has shown amazing results in deaf-mute schools as well! This is her way of contributing to nation building by nurturing good quality human resource, our true national wealth. Nikhil is the backbone behind the Walnut Concept. He holds a B.E in Computer Science. He also has an M.S in Computer Science from the University of Massachusetts, USA. He handles technology and finance at Walnut. He is also active in the technology community in Pune. Recently, he has initiated work on a nation-wide open source computational thinking curriculum for schools called CSPathshala, which is being implemented at Walnut Schools too. Earlier, he was looking after technology in Millennium National School for over a decade, and later also headed the administration of the school. Nikhil was also involved with the Computer Society of India, and organized various conferences on computer science. He was also the Chairman of the Pune Chapter for 2014-15. He also guides various students for projects in Computer Science, and as a passion, wants to connect academia and the IT industry. He is also involved closely with the budding startup community in Pune, and is one of the POCC core team. Prior to returning to India, Nikhil was employed with EMC Corporation, USA in their Advanced Research team, and StorageTek in various capacities. Ravindra Potnis handles logistics and back-office operations. Being a mechanical engineer, he is very hands-on and a great problem solver. He has a varied background in software, hardware, chemical, civil and higher education. Earlier, he was employed at Thermax as unit in-charge, and then at MIT as director of infrastructure. In his free time, he does public service of troubleshooting peoples problems – so it’s usual to see him sitting with his followers listening to him intently. Mrs. Snehal Patil brings in more than 15 years of experience in managing finances of schools. She also has tremendous expertise in government related compliances, which are an integral part of any school. Siddharth Joshi is the infrastructure in-charge at Walnut School. Siddharth has more than a decade of experience in implementing large scale projects. He believes in simple yet cost effective modern infrastructure which is easy to maintain. Siddharth wants quality education to be imparted through aesthetically designed infrastructure at Walnut School - something which you observe in all our campuses.